This post demonstrates PROS and CONS of the ASP.Net vNext, a completely new version of ASP.Net. There is some super exciting stuff going on in the .NET community right now. I'm going to post a few entries on my favourites. This ASP version is so awesome. It is currently under development. 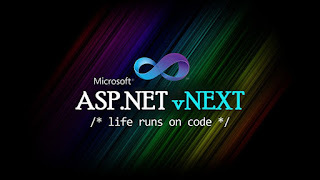 It combines technologies like ASP.NET MVC and Web API into a single programming model and will be cross platform. The framework will be called ASP.NET 5 when it gets ready. 2. It is totally unbound to IIS, so you can host it pretty much anywhere .net can run. Since Mono allows dotnet to run pretty much anywhere, ASP can run pretty much anywhere. like on a Mac in the console, on your Linux server, on your netduino, raspi, your grandma's old 386 in the basement she refuses to throw away. 3. It is highly customizable and extensible with dependency injection as a first class concept so you and add and remove features and functionality as you see fit. 5. The project system is changing, dramatically so there is a learning curve here, but IMO it is much better in the long run as it promises to ease many of the pain points of the csproj files. 6. The new project system is also likely going to be a blacklisted project system. so you must EXCLUDE files you don't care about rather than INCLUDE all the files you do. This will make merges much cleaner. 7. Everything is based on the best data interchange format ever! json config files* and json project files and json package manifests. 8. An entirely new "environment" or "host" aware configuration system allows you to read config settings from multiple providers like your project-local config files, host-global files, environment variables, databases, web services, etc. you can pretty much just implement your own config provider and read from anywhere. 9. Supports Raspberry Pi which relates to the field of embedded systems. 1. Suppose we got to learn how to do it and that is a learning curve but it looks like a not to steep of one. 2. ASP web forms are not supported in vNext (they are too strongly tied to the System.Web). These are my favourites. Land on the github to know your favourites.